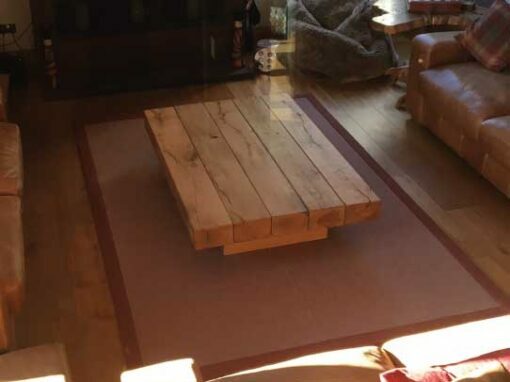 A rustic coffee table from Abacus is something very special. 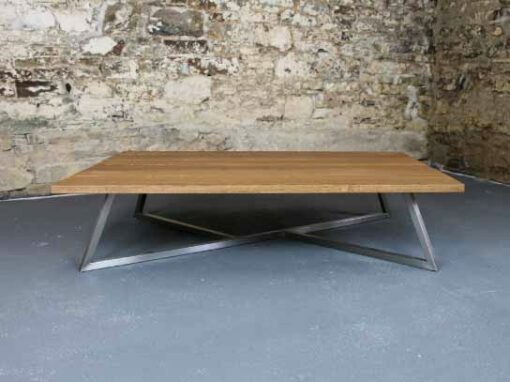 Start by selecting your table from a range of designs that have been engineered to stand the test of time, then tailor your table to perfectly fit the style of your home. 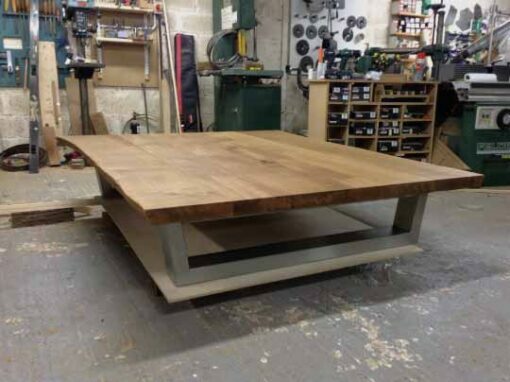 And because we custom build each table, it will be the perfect size and shape to make the dream centre-piece for your living room. 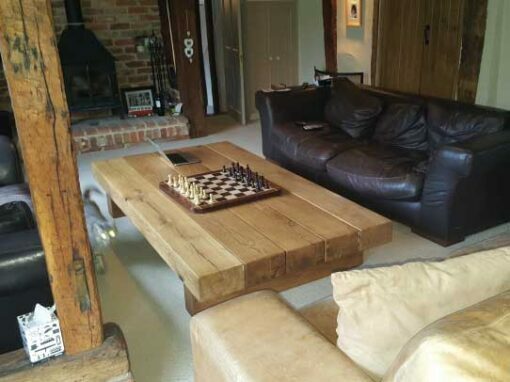 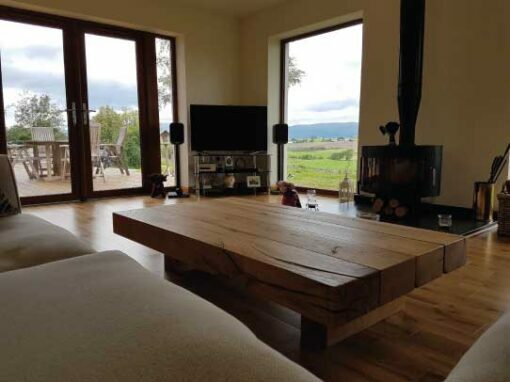 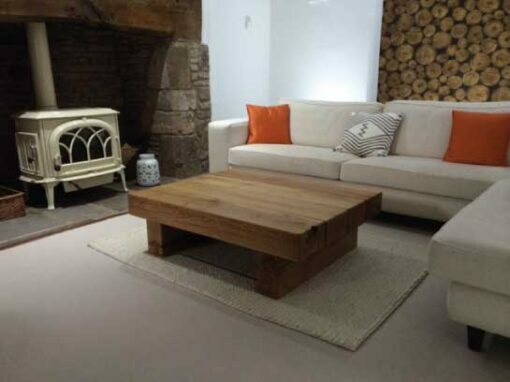 For the profile of your rustic oak coffee table, choose the table edge to fit the style of your room. 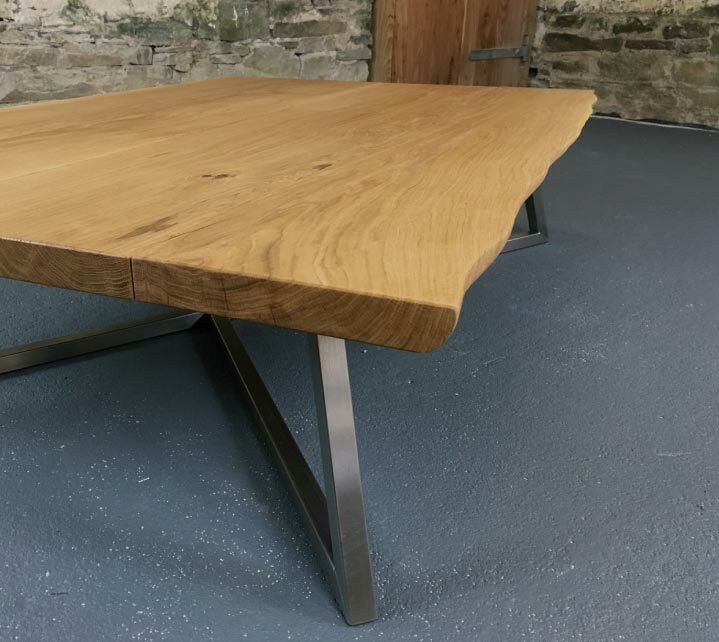 A live natural edge means the outside of your table comes from the actual curve of the tree trunk, hand-finished beautifully smooth and so tactile that you won’t be able to take your hands off it. 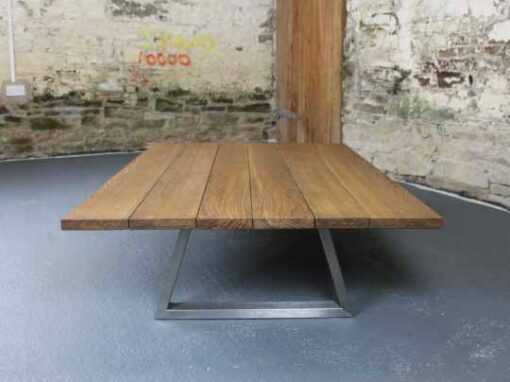 Or choose a traditional straight-sided table top with gently softened edges, precision hand-finishing in a centuries old style for the modern world. 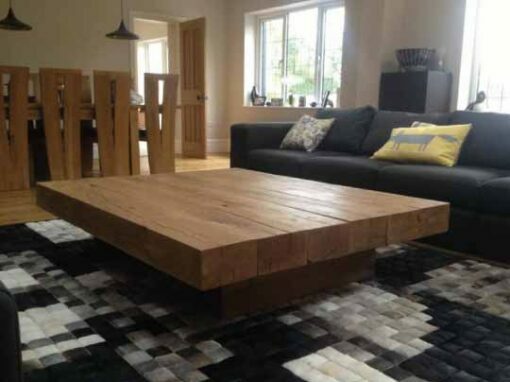 The thickness of your table top defines the impact of your table in the room and choosing the right thickness means your table will fit seamlessly with rest of your furniture. 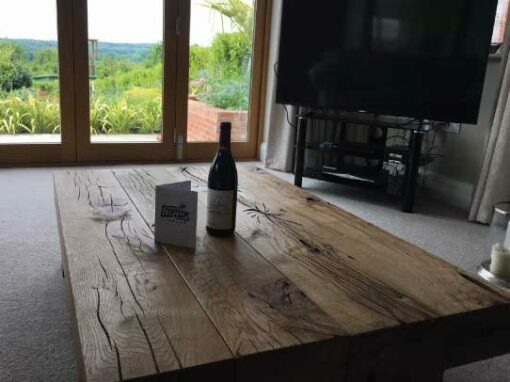 From beautifully sleek and subtle 30mm table tops, up to enormous chunky slabs of 65mm thick oak, you can tailor your rustic coffee table to satisfy your personal taste and suit the style of your room perfectly.